Currently viewing the tag: "benjamin blech"
Rabbi Benjamin Blech, professor of Talmud, has just had his Haggadah (with commentaries) accepted for publication by Koren Publishers. Rabbi Blech has been working on this project for a decade. 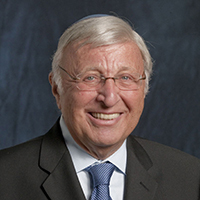 Rabbi Benjamin Blech, professor of Talmud at Yeshiva University, spoke at the AIPAC’s third National Rabbinic Symposium on September 3 in Washington D.C. The symposium afforded American pulpit rabbis the opportunity to meet and hear insightful leaders and speakers on the topic of United States and Israel relations. Rabbi Benjamin Blech, professor of Talmud at Yeshiva University, spoke at the Fifth Worldwide Meeting on Human Values, which took place from October 17-19 in Monterrey, Mexico.